If you need a Plumber in Herne Hill, you’re in luck. 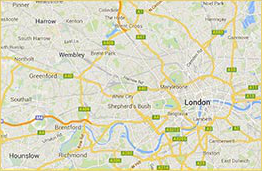 The Handy Squad’s plumbing team covers the whole of Herne Hill and the surrounding areas in their unmistakable yellow scooters. 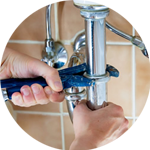 We have been unblocking showers, installing new taps and repairing radiators since 2005, so you can be rest assured that your plumbing devices will be in safe and professional hands. 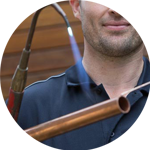 Why not give your local Herne Hill Plumber a call? Located in south London, Herne Hill is a neighbour of Brixton, Denmark Hill, Dulwich Village, Tulse Hilll and Stockwell. Part of the borough of Lambeth, Herne Hill has a variety of art galleries, bars, shops and boutiques. One of the main attractions is the Brockwell Park, an 84 acre green space, first opened in 1891 by the London County Council. The Brockwell Park is home to the Brockwell Lido, an art deco open-air swimming pool with an attached popular café/restaurant. It is also home to the Herne Hill Velodrome, one of the oldest cycling tracks in the world, built in the same year as Brockwell Park. In 1948, it hosted the track cycling events in the Summer Olympics and for a short period of time it was the home of the Crystal Palace Club during World War I. 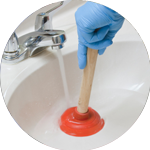 Our London Plumbers deal with a variety of plumbing jobs, such as rodding drains and gullies, unblocking baths, replacing taps, installing macerators, repairing radiators and much more. 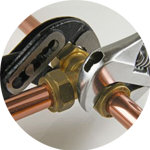 If you are looking for other handyman services, our London Handymen offer locksmith services, moving services, jet washing services, among other services you might require.